This Refresher Course (updated in 2018) provides an overview of topics, key references and independent study materials by topic for practicing engineers who intend to take the PTOE certification examination. The suite of modules include six (6) 90-minute webinar recordings on traffic operations studies, traffic operations interrupted and uninterrupted flow, elements of geometric design, traffic safety and traffic control devices. Instructor: Bob Seyfried, ITE's PTOE material expert! Click the titles below to learn more about each individual module. (Click " Purchase" Below. Login is required). Fees include 6 modules (streaming on-demand for 90 days after purchase), 6 student supplements, and 6 presentations (in PDF format). Return to this page to access the modules. ITE member login is required. You will have 90 days to stream the module recording after purchase. Registrants receive 9 PDH Credits for the entire series. The certificate of completion and credits will be made available after you have attended the webinar and the survey has been completed. We do not provide PDH credit to multiple attendees at one location for our on-demand offerings. 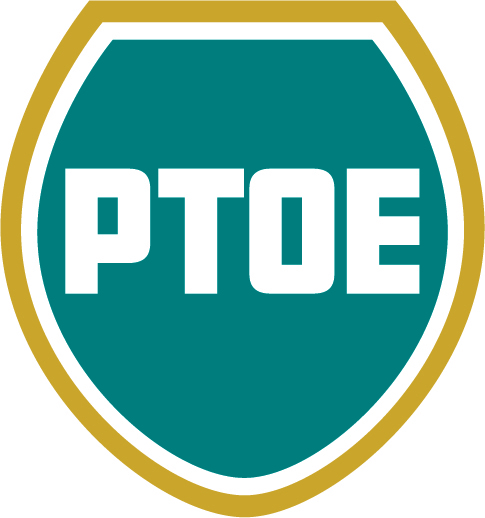 Credits cannot be put towards a student's first PTOE renewal period.